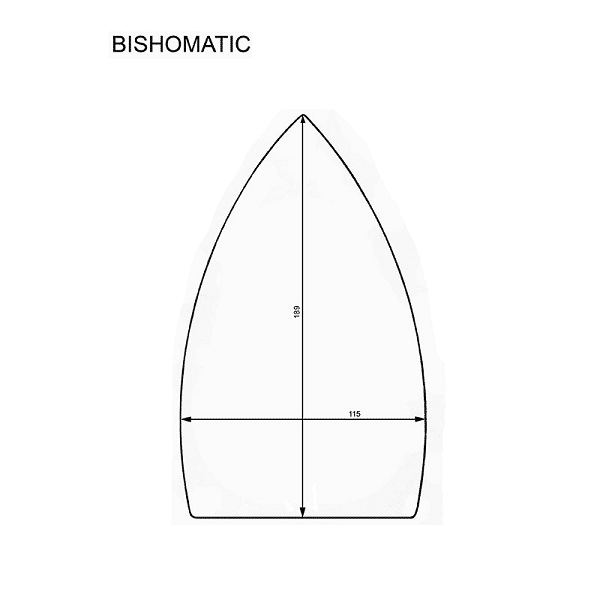 Bishomatic iron shoes 189mm long and 115mm wide. Protects iron plate from damage by zips and buttons. Also, stops garments from damage by the heat of the iron.